The Toshiba Regzo series tablets offers four models, which include the Regza AT500, Regza AT570, Regza AT700 and Regza AT830. The Toshiba Regza AT830 features 13.3-inch multi-touch display at 1600×900 resolution and is powered by 1.4 GHz NVIDIA Tegra 3 SoC quad core processor, TV Tuner, HDMI. The Toshiba Regza AT700 features 10.1-inch multi-touch display at 1280 x 800 resolution and is powered by 1.2 GHz Texas Instruments OMAP processor, HDMI. 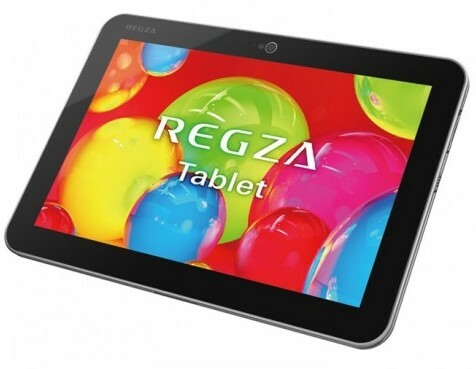 The Toshiba Regza AT570 features 7.7-inch organic EL multi-touch display at 1280×800 resolution and is powered by 1.3 GHz NVIDIA Tegra 3 processor. The Toshiba Regza AT500 features 10.1-inch multi-touch display at 1280×800 resolution and is powered by 1.3 GHz NVIDIA Tegra 3 processor, HDMI. Common features of all these models includes 1GB RAM, 64 GB flash storage, 2 MP front camera, 5 MP rear camera, Wi-Fi, Bluetooth 3.0, USB 2.0, card reader, and Android 4.0 Ice-Cream Sandwich OS. Tags: AT500, AT570, AT700, Regza AT830, Toshiba Regza AT tablets, Toshiba Regza AT tablets features, Toshiba Regza AT tablets specifications, Toshiba Regza AT tablets review, Toshiba Regza AT tablets details, Toshiba Regza AT tablets availability, Toshiba Regza AT tablets specs, Toshiba Regza AT tablets images, Toshiba Regza AT tablets pics, Toshiba Regza AT tablets pictures, Toshiba Regza AT tablets price, Toshiba Regza AT830, Toshiba Regza AT700, Toshiba Regza AT570, Toshiba Regza AT500.